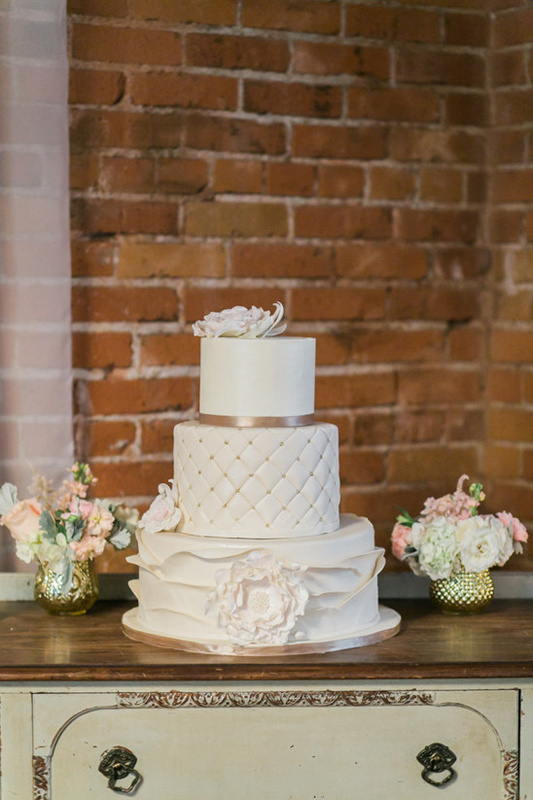 A breath taking venue subtly enhanced by blush and neutral tones, We cannot get enough of this pink and gold vintage glam wedding! If this glamorous little taste has you begging for more, then we have some great news! 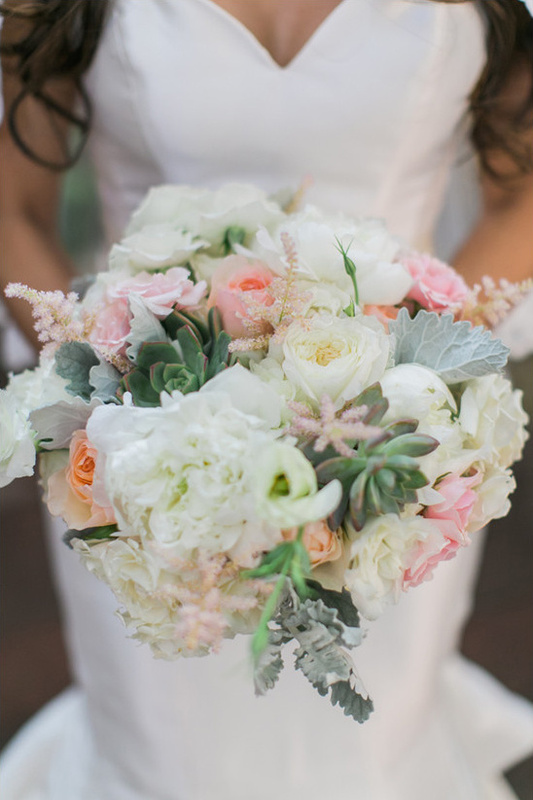 Every last gorgeous detail photographed by J Wiley Photography can be seen right here in the full gallery! 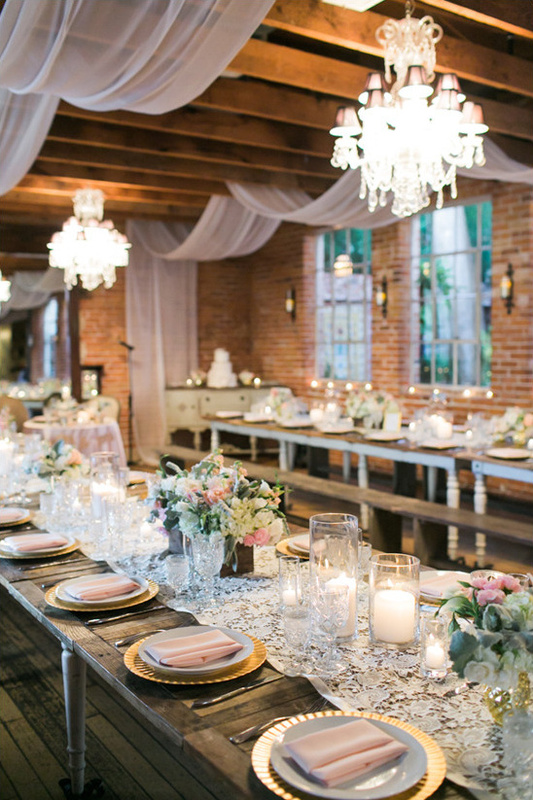 Plus don't miss out on the budget breakdown below where the bride and groom reveal how much they spent on this fabulous day. 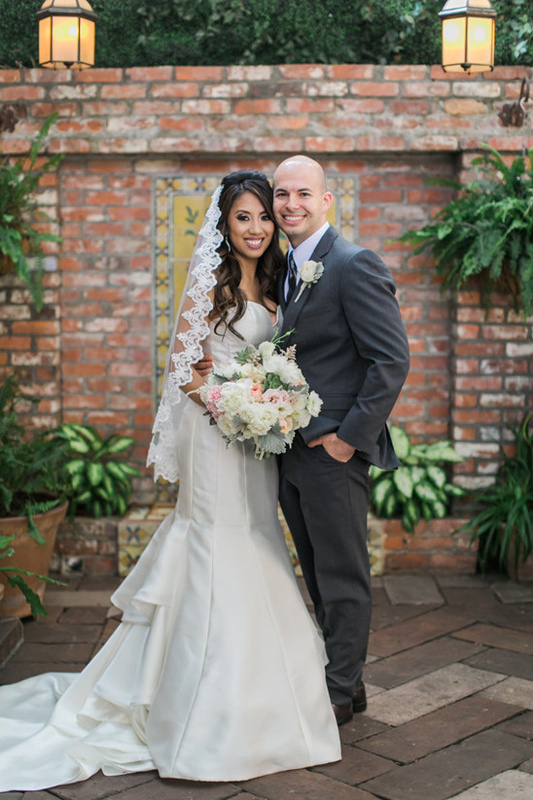 From J Wiley Photography: Karren & David's wedding took place in downtown Los Angeles at the rehabbed vintage space, Carondelet House. 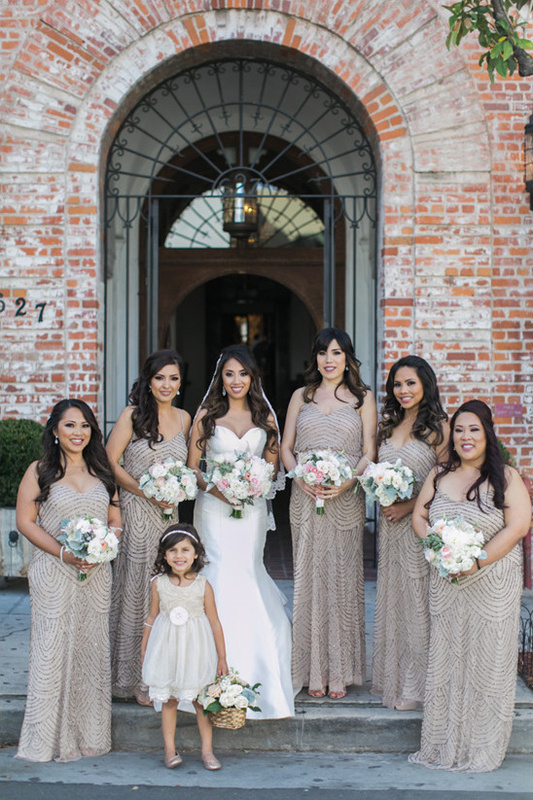 They incorporated neutrals, pink, and gold against the beautiful old wooden beams, bricks and other original architectural details in the house. They were inpsired by the old-world charm of Europe, and incoportated Italian lace into many of their design details. It truly helped to use reputable vendors that have worked at the venue(s) previously. They know the rules & regulations, logistical issues, and bring up questions/suggestions you never thought of before. My husband and I pretty much used most, if not all, vendors that have worked at Carondelet House before. We had an amazing team who knew the ins and outs and they truly made our dream wedding come true! 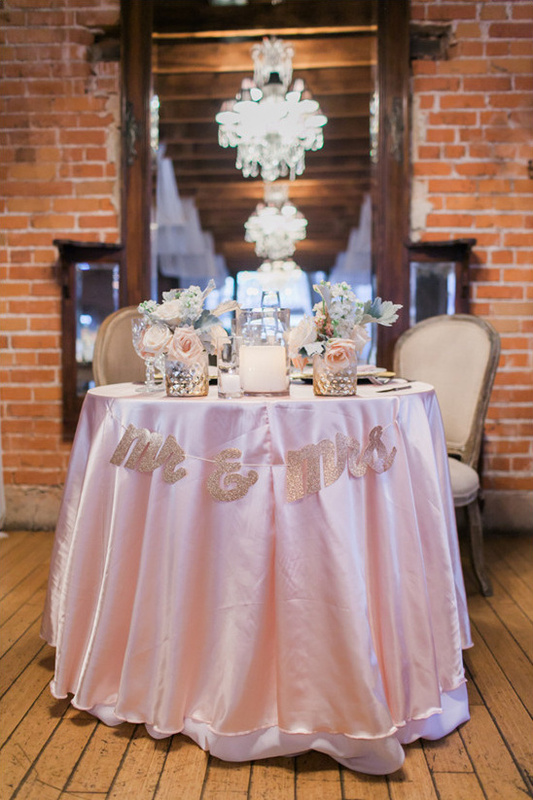 Read on to see how much this pink and gold vintage glam wedding cost. Please note that costs change as the years go by, and prices are subject to change. This is just one couple’s breakdown to give you a rough estimate on how much a wedding like this may cost you.